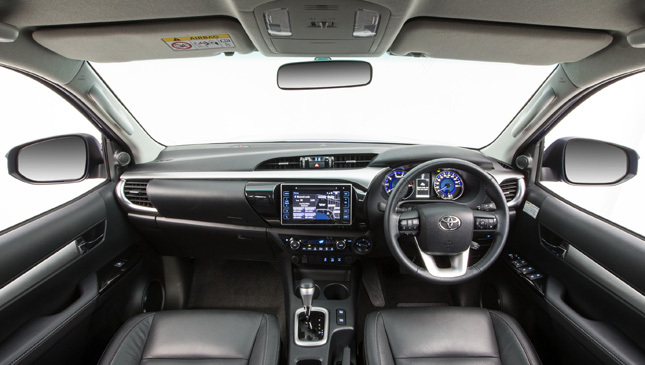 A little earlier, we posted photos of the all-new Toyota Hilux's interior. 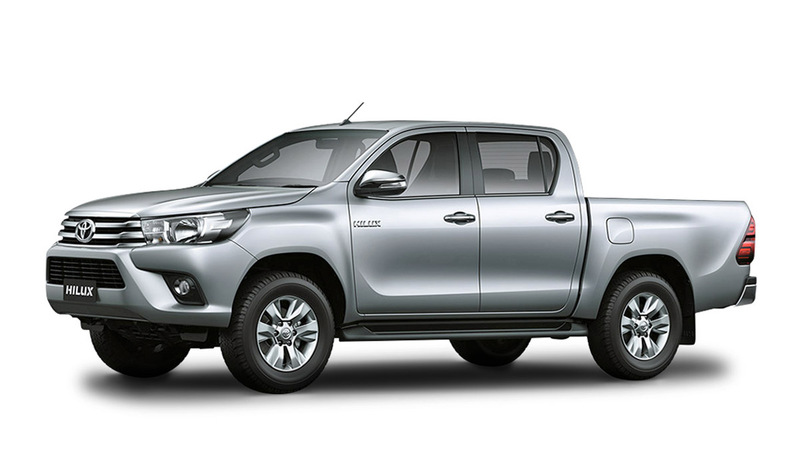 Except said Hilux was a right-hand-drive unit from Australia (we said so in the article). 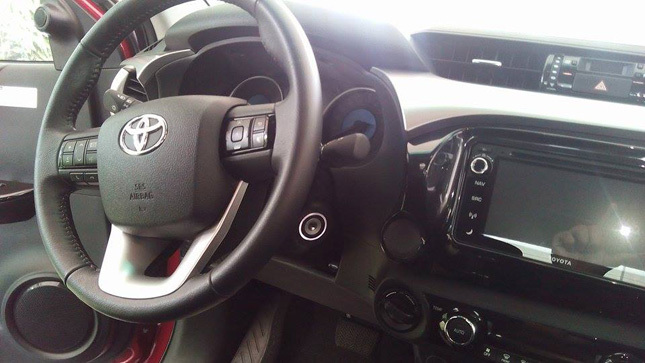 Like we wrote, the intent was merely to give readers an idea of what the new Hilux's cabin is like. Of course, local car buyers eyeing the soon-to-be-launched Hilux weren't satisfied, and wanted to see images of an actual Philippine-market unit. 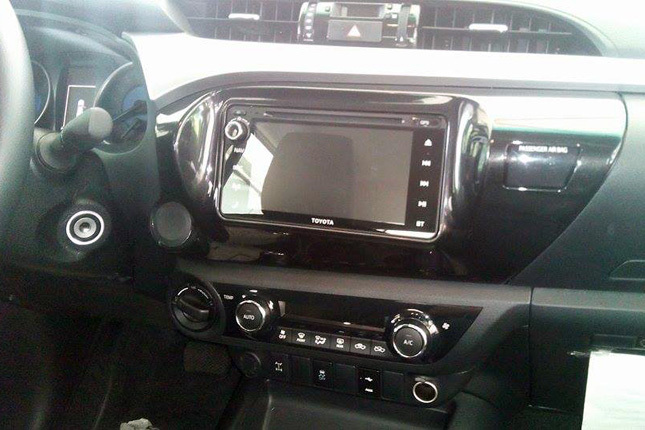 Fortunately, one follower of our Facebook page is a member of Toyota Hilux Club Philippines, and he sent us pictures of the locally spec'd new Hilux. 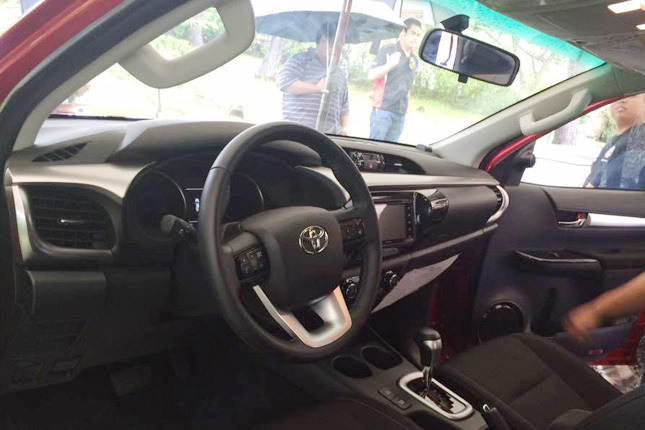 He said he had taken these pictures during a gathering arranged by Toyota Motor Philippines, where the company had shown off the 2016 Hilux to members of a couple of Hilux car clubs. This unit you see here, according to the photo sender, is the top-of-the-line 4x4 G AT variant. Sadly, it doesn't have the "tablet-style touchscreen" seen in the Australian Hilux. Instead, there's a 2DIN AVT head unit. Also, the seat material looks like fabric, unlike the leather stuff in the Hilux from Down Under. Well, if it's any consolation, the control buttons on the steering wheel remain. And the brushed-aluminum accents, too. We guess you can't have them all.